At the beginning of March 2017, 23 Palestinian village council heads and 13 human rights andCivil Society organizations – among them Yesh Din – petitioned the High Court of Justice to demand the court order the repeal of the law to expropriate private Palestinian land in the West Bank (The “Regularization Bill”). The petitioners also asked the court to issue a temporary injunction to prevent the State from advancing land expropriation proceedings. The petition argues that the law – which passed despite opposition expressed by attorney generals of the government, Knesset and Ministry of Defense – is unconstitutional since it constitutes an explicit violation of the Basic Law: Human Dignity and Liberty; The Regularization Bill restricts the authorities’ discretion and compels them to prevent Palestinians from realizing their rights to use and administer their private land for an unlimited period of time. In addition, the law does not give Palestinians any channel for opposing the expropriation proceedings. According to data collected by Peace Now, the law will lead to the expropriation of over 8,000 dunam (nearly 2,000 acres) of private land upon which structures have been built illegally – and tens of thousands of dunams of land on which agricultural crops have been planted. 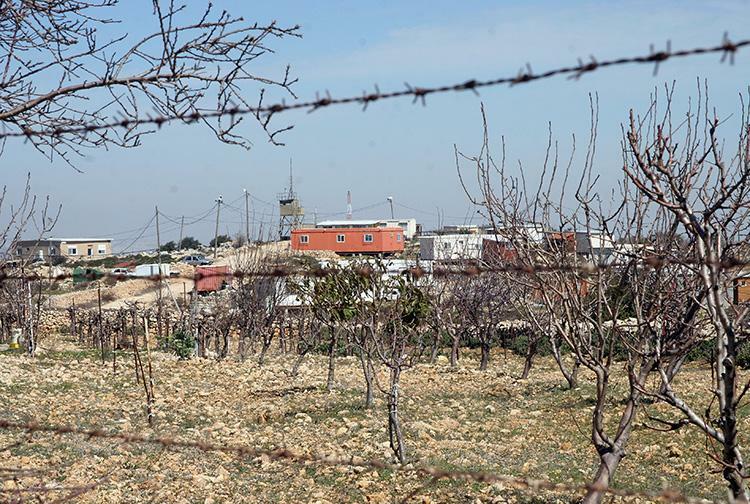 The land designated for expropriation is owned by thousands of Palestinians, among them many of the residents of the villages represented in the petition. Furthermore, the law violates explicit prohibitions of International Humanitarian Law and the laws of occupation as well as international treaties Israel is a signatory of. Israel is obligated to uphold the human rights of the residents of the occupied territories and must not engage in the expropriation of property – unless absolutely necessary for urgent security purposes. The petition emphasized that the implementation of the directives of the law may put civilians and security forces who are asked to carry out war crimes at risk, as well as members of Knesset who voted in favor of the bill. In addition, the very legislation of the law constitutes a deviation from the Knesset’s authority, as it is not authorized to regulate property laws in a territory that is not under Israeli sovereignty. The government added that in effect, the law benefits the Palestinian landowners, who are interested in selling their land but are unable to do so because of legal restrictions by the Palestinian Authority. It also claimed that the law stands the constitutional test of both Israeli and international law. Nevertheless, the government did admit in its response that the chief purpose of the law is political – in other words, preventing the demolition of homes in settlements and outposts, even when they were built in violation of the law on private Palestinian land, and despite the fact that this is an infringement of the Palestinian landowners’ right to property. Attorney General Avihai Mandelblit, on the other hand, has asked the High Court to strike down the law, arguing that it is unlawful and intended for a wrongful purpose. Mandelblit argued that law disproportionately impinges on Palestinian landowners’ right to property, indiscriminately allows for retroactive approval of illegal construction and discriminates against the Palestinian population. Mandelblit referred to the arrangement proposed in the law as a “sweeping and injurious arrangement” that prioritizes settlers’ rights over “the right to property of those holding rights to land in the area, no matter the situation”.